A relative of Kayin’s took advantage of his already vulnerable situation, using him to work for far too small a wage which proved insufficient to provide the family with enough food and basic necessities. Morufa Taiwo, a Care Worker from the Apatuku CBO, who lives nearby to Kayin, was quick to involve the other Care Workers when she recognised the extent of the challenges that life was throwing his way. Michael* is a 13-year-old boy who was found by Care Workers in Apatuku Community. As they knocked on the door of his home, it seemed, at first, deserted, but they heard a small voice croak from inside the home. As the Care Workers entered the house, they found Michael all alone and in a desperate situation. Tanisha* has been living in Apatuku, a rural village outside the bustling city of Ibadan, for four years. Sent by her mother at the age of six to live with her grandmother, this move shifted Tanisha into a very vulnerable position, just like thousands of other girls across Nigeria. Her ailing grandmother cared for the young girl and appreciated her help as she was struggling to cook, clean, and do errands alone, but unfortunately was unable to send her to school. Together, they live in a small rented room, sharing a bed and the meager belongings the grandmother had collected. Tanisha, obedient and caring, worked hard to ensure she cared for her grandmother well, but inside she was deeply troubled. Tanisha desperately missed her mother and wanted nothing more than to go to school. Perhaps being forced to drop out of school because your family simply cannot afford the fees anymore is just as heart breaking as not being able to go to school. When Lovelyn came home from school one day and realized she would not return, she felt lost and hopeless. Now, she faced the terrible prospect that her education was over. 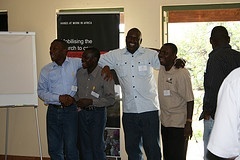 Stephen was a part of a short term missions team that visited the Hands at Work Hub in South Africa back in 2007. He was greatly challenged by what he saw and the work that Hands is doing and has been a supporter ever since. Here he reflects on his recent trip to Nigeria where he was able to visit the children he and his friends and family have been supporting for years. It all began in the living room of my house in Southern California back in 2009. I invited George Snyman, Founder and CEO of Hands at Work in Africa, to come and speak to a gathering of my friends. That evening, God stirred the hearts of all who were there, although many of them had never visited Africa before. As a result of that meeting, we decided as a group of eight families to support 100 orphans in the Badia and Ilaje villages of Nigeria. We started this support in January 2010 and have been doing so ever since. June 2013, after several years of supporting the orphans in Nigeria, four men from the group finally got a chance to visit the villages in Nigeria. It was a life changing trip that none of us will soon forget. The streets of BadiaGeorge met us in Nigeria to lead our team. 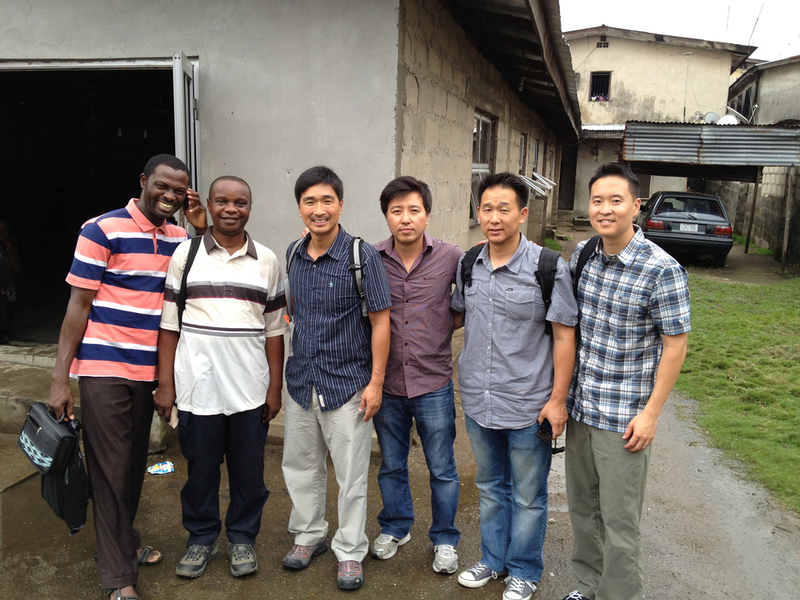 On our first day, he led us on a walk through Badia, a large urban slum just outside the capitol city of Lagos. The four of us had seen numerous examples of poverty across several continents prior to this trip but the level of poverty in Badia was by far the worst. The community was composed of densely arranged plywood shacks with trash littered everywhere. 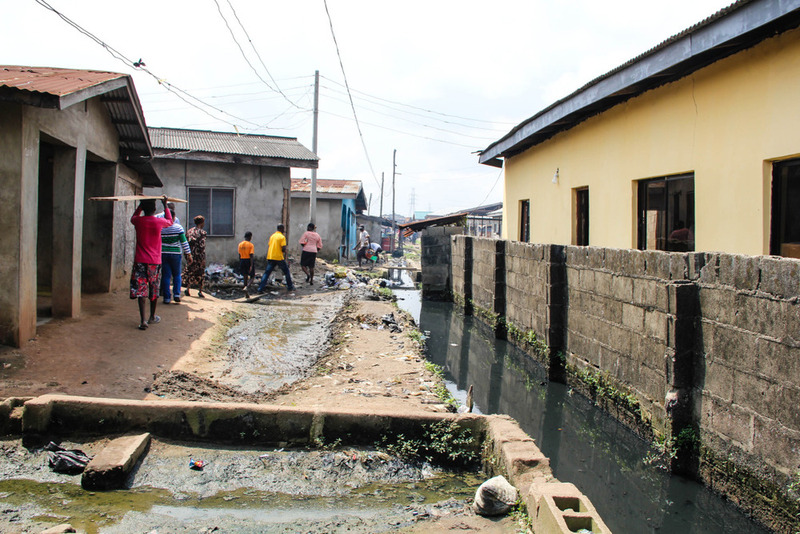 There was a stench in the air from pools of stagnant water and a lack of sanitation. Thousands of people populated this slum with 80% of the women being prostitutes and 60%-70% of the children being orphans. It was difficult walking through Badia because of the extreme poverty and the fact that there was a spiritual darkness hanging over this place. However, about a half hour into this uncomfortable walk, something unexpected happened. I saw a girl in a bright red shirt standing about 30 yards ahead of us. It was her bright shirt that caught my attention. She was looking at us and saw Peter, who is the local leader for Hands in Nigeria, standing next to me. Her face lit up with a smile when she saw him and she came running toward him. She jumped into his arms and gave him a warm hug then quickly ran off to play again. I asked Peter who she was and he said, “It’s one of your children.” That moment was like seeing a ray of light in the darkness. It taught me the impact that Hands was having on this community in just the short time we had been there. "It's one of your children"
The following day we visited the Care Point in Badia where I had a chance to meet the girl in the red shirt. She turned out to be an adorable 9-year-old girl named Rachel. She is an orphan who lives in Badia with her aunt and sister. Unfortunately, her aunt is a prostitute who works out of their one room shack. This means that Rachel and her sister are woken up and asked to wait outside when patrons visit their home at any hour during the night. It’s heartbreaking to know that there are children who have no choice but to live in this way, but Rachel’s story reflects the life of many Badia children who live in this same manner. Fortunately, there is real hope that Rachel’s story will change some day. She is enrolled in a school through our sponsorship and the Hands Care Workers are raising her in the gospel. For these reasons, I am very hopeful that the cycle of prostitution will someday end with her. Stephen and his team with Peter and another local volunteerIt was a blessed experience to witness how God was using our modest support to change the lives of the orphans in Nigeria. We saw how Hands was bringing hope to places like Badia where none would be expected and children without any choices had hope for a better future. Most remarkably, our partnership with Hands gave 4 Americans an opportunity to be in a gospel community with 100 African children an ocean away. 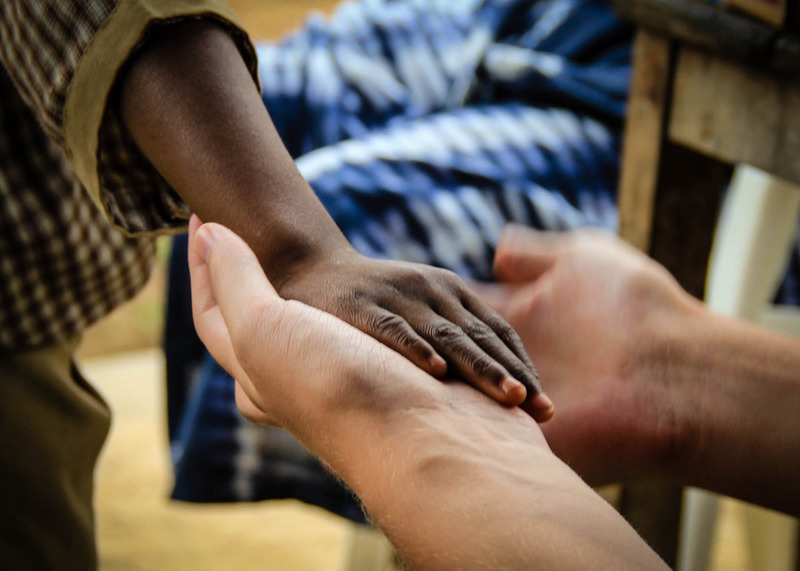 None of this would be possible without the loving God who not only cares for the orphan and widow but also graciously allows us to partake in the work of caring for them too. Under the cover of darkness, a desperate mother travelled to a remote village in Elekuru, Nigeria and abandoned her baby. He was just 15 days old. The baby was left in the care of his grandmother, who was already doing all she could to care for 5 other aban­doned children. Ironically, the baby was named Dayo*, which means ‘joy arrives’. That was 3 years ago. Dayo’s mother has not been seen since that night in 2010. The village of Lasidi, where Dayo’s grandmother lives and cares for her children, is remote and cut off from any modern services. 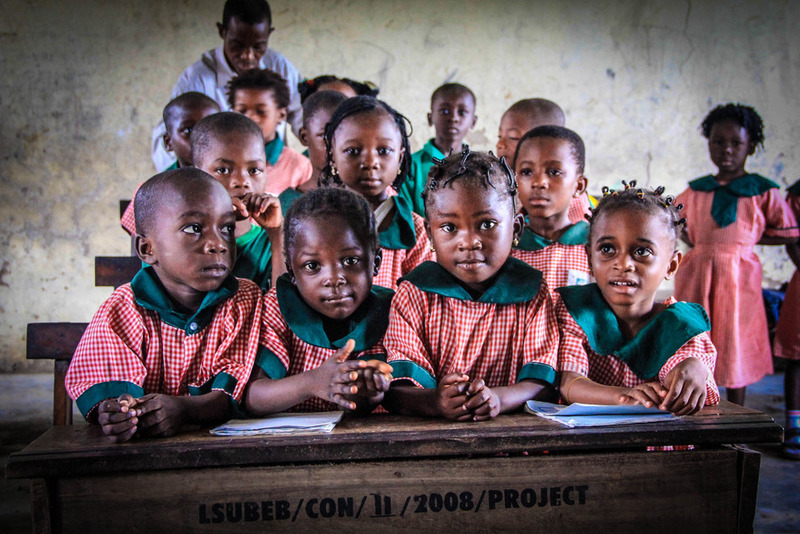 The children do not attend school and the people fight for survival each day. There is no clean water source, food is grown solely off the land and there is much sickness. It is just this kind of place that Elekuru Care Workers were drawn to. They wanted to be a light into the lives of desperate people like Dayo’s family. Loving Care Workers like Abigail started to visit the village of Lasidi and found the children and grandmother in a desperate situation. She felt compassion for them. She wanted to help relieve some of the burden that Dayo’s aging grand­mother was shouldering alone. Abigail began to visit the family regularly, caring for their physical needs as best she could, and trying to understand their inner brokenness. 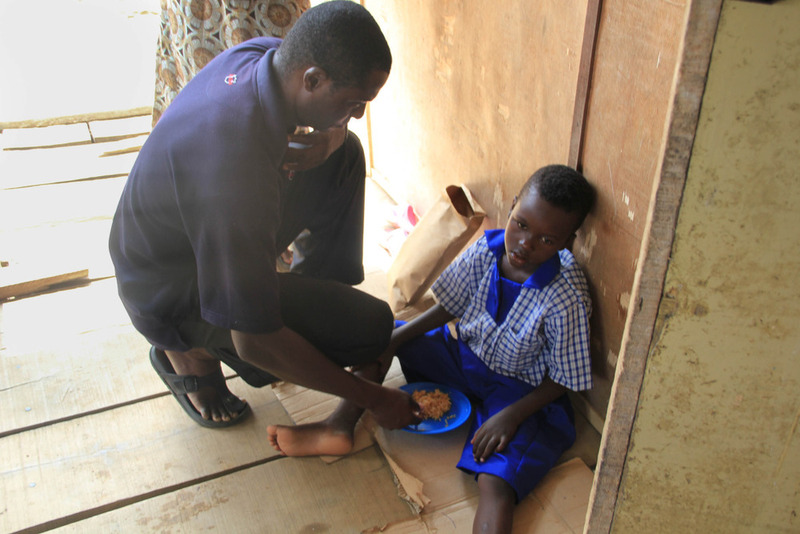 The family felt as if they had been adopted in to the Elekuru family, together with Abigail and all the Care Workers. 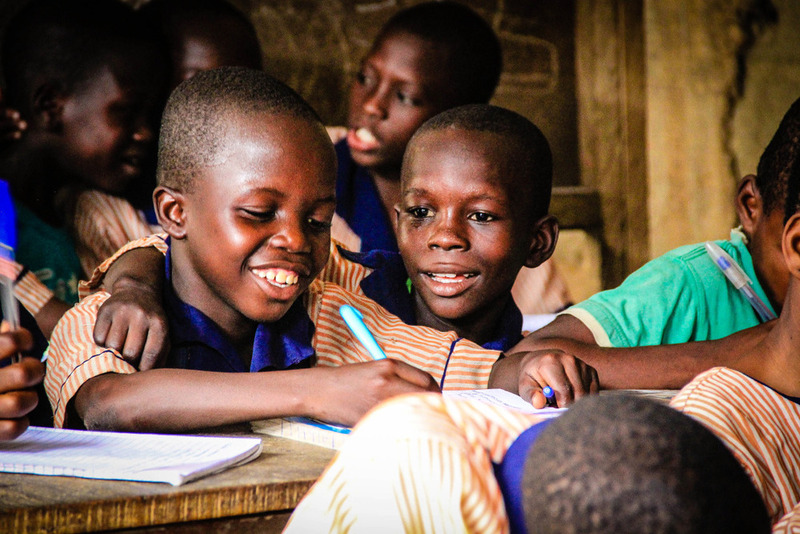 Dayo and his brother Lenu* were identified as vulnerable children and the Elekuru Community Based Organisation took special care of them, ensuring them a hot, nutritious meal each day, access to education at the local Community School and basic health care. 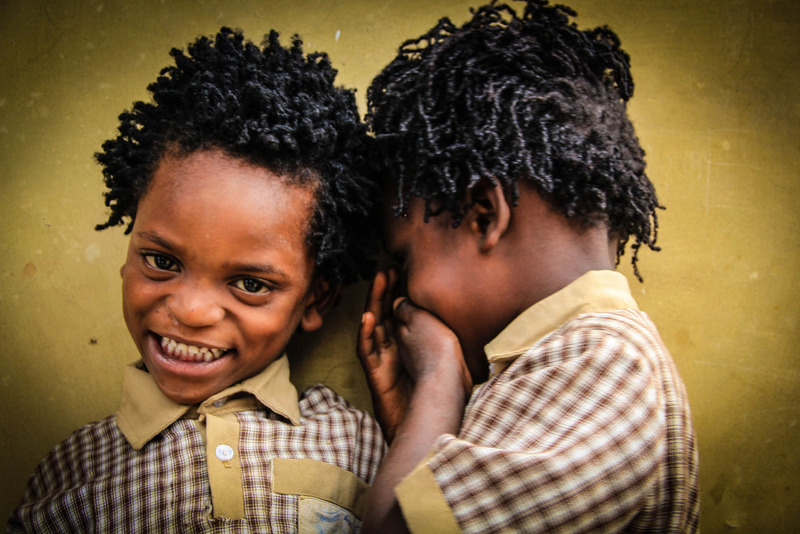 Each morning, the brothers wake excited, bathe themselves, and get ready to go to their new school. Abigail continues to visit this family, loving and caring for the children as if they were her own. The community’s prayer is for Dayo’s deep wounds of rejection to heal with time because of the love and attention he is now receiving. 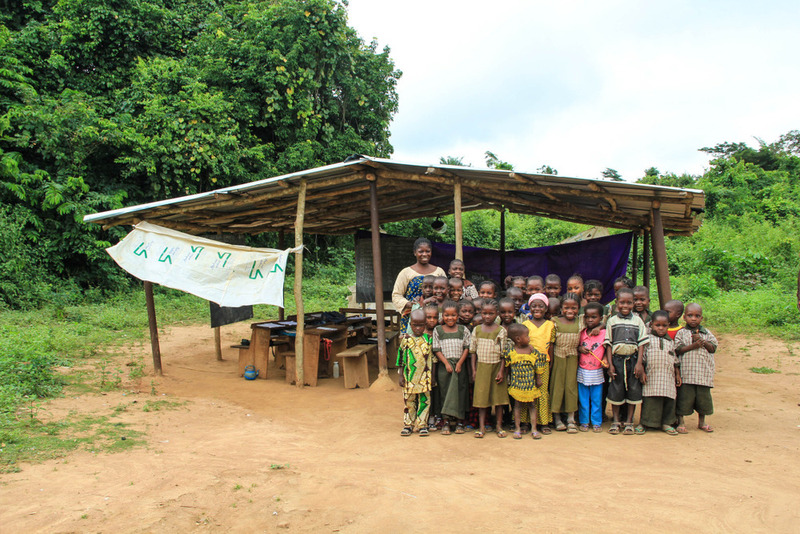 Communities like Elekuru in Nigeria continue to be very tough places to work. Care Workers sacrificially give of their time and energy to reach the most vulnerable children and bring comfort in their desperate situations. Please join us in praying for Care Workers like Abigail who do this every day. Pray for their courage and perseverance as they strive to live out the message of Christ in bringing hope to the hopeless. 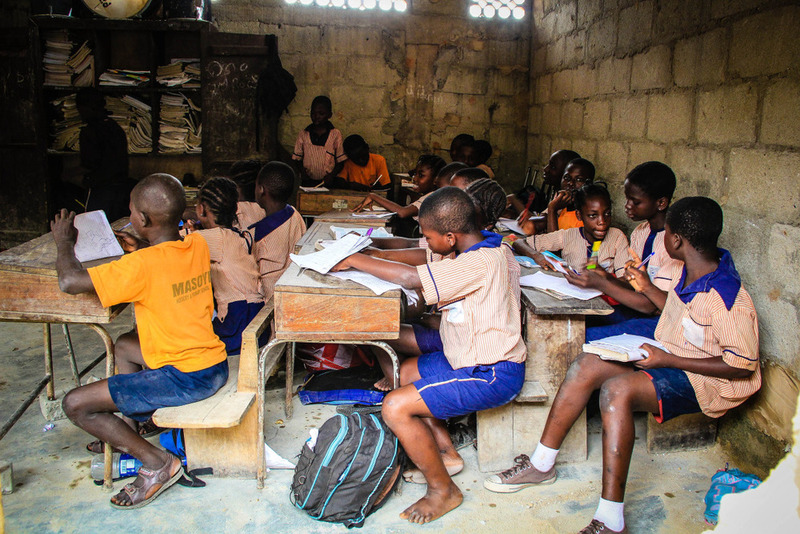 Boys who attend free community school with Michael, run by volunteers in Ago Okota, Lagos Slum, Nigeria. 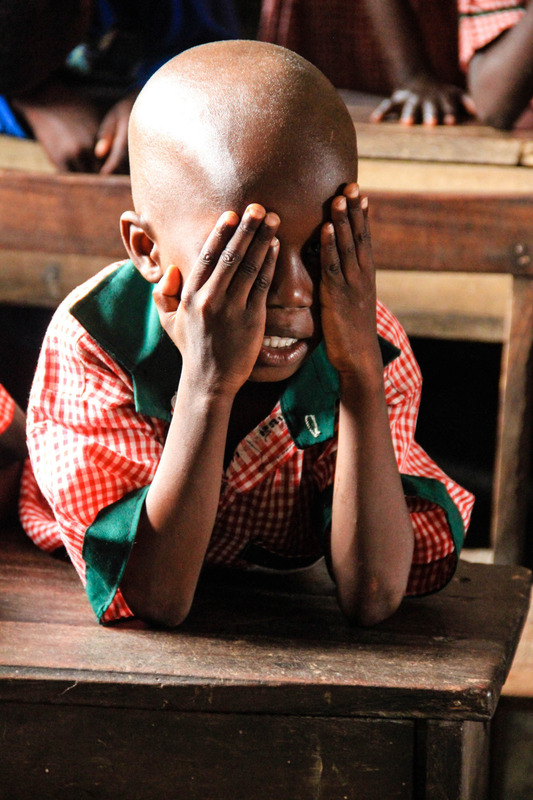 10-year-old Michael is a vulnerable child living in the Lagos slum of Ago Okota. In 2010 when his mother could no longer afford to feed and keep him, Michael was given away to another poor family. His job was to work for the family, walking the streets selling rice and beans and passing the income over to his new guardians. He dreamed about attending school, but wasn’t allowed. He had joined the tragic situation of thousands of children walking the streets of Lagos: modern-day slavery. Lagos, Nigeria is a city of hustling, angry bargaining, religious tension and constant competition among 17 million people struggling to get ahead. In such circumstances, the poorest of the poor, the ones closest to God’s heart, are lost in the fight. 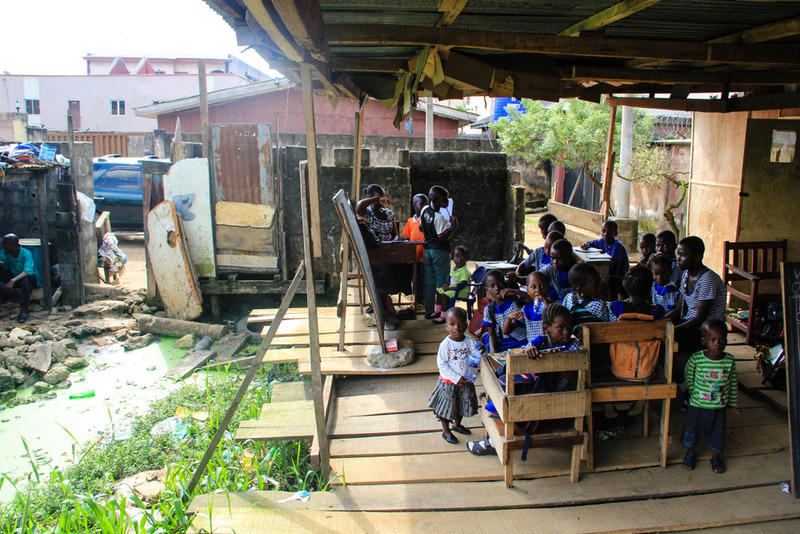 In Ilaje, the poorest slum in Lagos, this losing battle is a way of life. Scanning the scenery of Ilaje, you are accosted by the jumbled array of colors; piece-made shacks amid run-down buildings set upon garbage-littered mud roads. The scene is almost too much for the senses. There is nowhere to avert the eyes, nowhere to escape the putrid truth of the poverty. Here amongst the clutter you almost miss the presence of human life. Unless purposely seeking it, you can overlook a child’s precious glance from amongst the rubbish, as if the former is not of infinite worth and the latter completely valueless.